Graeme joined TWIC as Centre Manager in October 2011 after spending over five years as Midlothian Council's Biodiversity Officer. Graduating from the University of Strathclyde with a BSc (Hons) in Environmental Bioscience in 1996 he joined a Scottish Wildlife Trust (SWT) training team based at Cumbernauld, gaining an SVQ Level 2 in Environmental Conservation: Landscapes and Ecosystems. He then became the Project Supervisor of SWT's Berwickshire Countryside Project delivering the same SVQ to a team of up to 24 trainees. After three years he moved on within SWT to be an Education and Lifelong Learning Co-ordinator and then Site Manager at Grangemouth's Jupiter Urban Wildlife Centre. His next post was as Environmental Education Co-ordinator at Paxton House in the Scottish Borders, followed by over three years as an Environmental Community Development Fieldworker with the Scottish Borders Rural Partnership's Rural Resource Centre, before moving onto the Biodiversity Officer post. Graeme has overall responsibility for the delivery of TWIC's work programmes and management of staff, volunteers and resources. He has the lead role in liaison with customers, development of business opportunities, preparing policies, promotion of the Centre and fundraising. Contact Graeme by email at graeme@wildlifeinformation.co.uk or by telephone on 01875 825968. 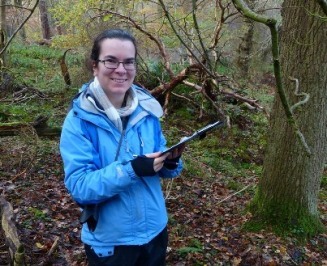 Natalie joined the team in November 2010 as Data Coordinator for the Lothians Local Biodiversity Sites Project, and has since moved to the post of Ecologist at TWIC. She graduated from Aberystwyth University with a BSc (Hons) in Environmental Science and MSc (Hons) in Managing the Environment (Habitat Restoration and Conservation). Natalie gained ecological surveying and data experience as a trainee with the Somerset Environmental Records Centre (SERC). She has previously worked on several projects as a contract Ecologist with SERC, including the Somerset Wildlife Trust's Brue Valley Living Landscape Project. 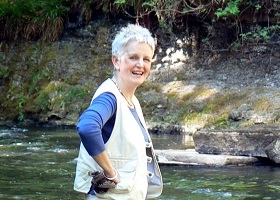 Her roles at TWIC involve acquiring, managing and analysing data; working with and supporting recorders; undertaking surveys; and organising excursions and events. Natalie is responsible for the TWIC volunteers. Natalie is the first port of call if you would like to submit data to TWIC or are interested in volunteering with TWIC. Contact Natalie by email at natalie@wildlifeinformation.co.uk or by telephone on 01875 825968. 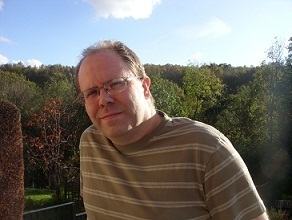 Steve joined TWIC as the GIS and Data Officer for TWIC in August 2010. Steve graduated from the University of St Andrews in 2009 with a BSc (Hons) in Physical Geography and Geoscience. 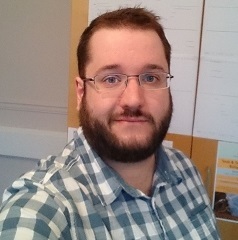 Since leaving university he has worked as a GIS Technician for the Forestry Commission and has volunteered with Dumfries and Galloway Environmental Records Centre inputting Phase 1 Habitat Surveys and biological records. In his role at TWIC he maintains the company's IT systems, develops new systems for processing data, handles consultant requests and manages the website. Contact Steve if you would like to request data from TWIC. Contact Steve by email at steve@wildlifeinformation.co.uk or at admin@wildlifeinformation.co.uk or by telephone on 01875 825968. Jackie began volunteering with TWIC in July 2012 and joined the team in March 2013 as a part-time Data Processor. A graduate in Botany (BSc Hons) from Aberdeen University and with an MSc in Agronomy from Nottingham, she worked for several years as a research assistant with the Scottish Agricultural College on a project aiming to improve the quality of Scottish seed potatoes for the export market. She then moved to Scottish Natural Heritage where she worked on the National Countryside Monitoring Scheme, a study of land cover change in Scotland. Since giving up work on becoming a mum, she has worked in a variety of part-time and voluntary posts. Contact Jackie by email at jackie@wildlifeinformation.co.uk or by telephone on 01875 825968.